You stink. Go away. We have had enough of you. There was no Masque for you to invade. No party for you to crash. I admit, I am a big fan of Poe. Bigger fan than most. He was a genius, and oh so talented. I especially love his poetry. He had a rhythm far ahead of his time. But good grief, is that any reason for you to attack my little family? I especially don't like you right now for what you are doing to my sweet hubby. He was so good at taking care of me, and helping keep the house clean while I was sick, and this is how you repay him? Seriously? Just leave us alone, you evil fiend! He is strong, but a man with a cold. And you know how they are. But it is more than that. He has a fever. For three days now. I am surprised his lungs are still intact from all his hacking. Your handiwork, I presume? He can barely talk, due to his sore throat, and the list goes on. Last night he came to bed with an extremely red and itchy eye. It looked very gross. Just disgusting. What is that all about? Weirdo. And now you have started on Keith. We really aren't that fun of a family, so why do you keep pestering us? At least Faye is staying healthy. You are wise to leave her alone. The mama bear in me would seriously kick your trash. 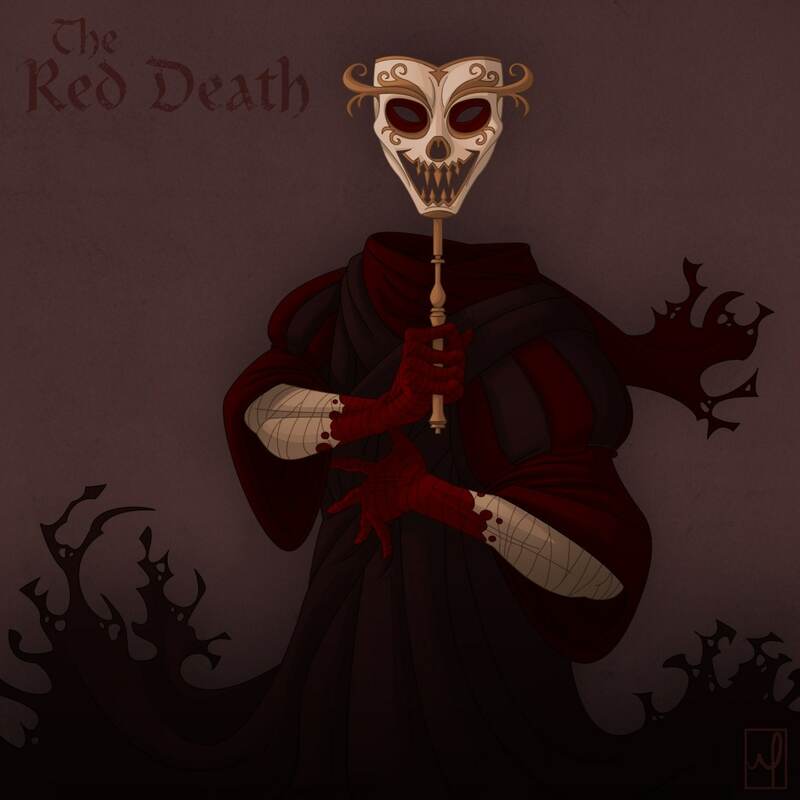 So please, Red Death, I implore. Just take your foul illness, and get out already. I promise I will stop complaining. Deal? Remember how they say visitors are like fish great at first, but really stink after three days? A month plus is way more than three days, so you are really stinking. So begone already. Shoot. Hope everyone is on the mend real soon and that the baby stays well. My kids are taking turns around here... it isn't fun one bit! I hope the plague leaves you soon! Did it work? Is everyone getting better? I sure hope so!